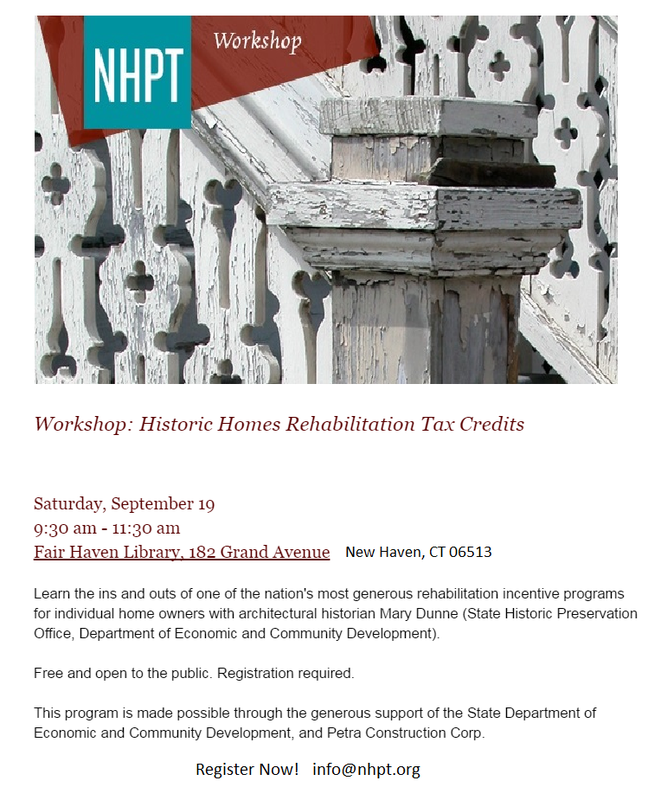 The New Haven Preservation Trust will be hosting a free workshop on the State of Connecticut’s Historic Homes Rehabilitation Tax Credits program on Saturday, 19 September 2015, 9:30-11:30 AM, at the Fair Haven Library, 182 Grand Ave, New Haven, CT 06513. Registration is required. Register via email: info@nhpt.org.